This is knife sambrada. Great drill, but it's not sparring. This is a follow-up of sorts to yesterday's Kali article. I'm a firm believer in the effectiveness and practicality of Filipino martial arts (variously called Kali, Escrima, Arnis, etc.). However, that effectiveness and practicality goes out the window if you don't train properly. 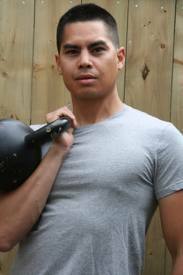 There are two key elements to getting the most out of Filipino martial arts: 1. Hard sparring against a fully resisting and engaged opponent; and 2. Respecting the weapon. fortunate to live in a time in which we have a wide variety of gear available to us. 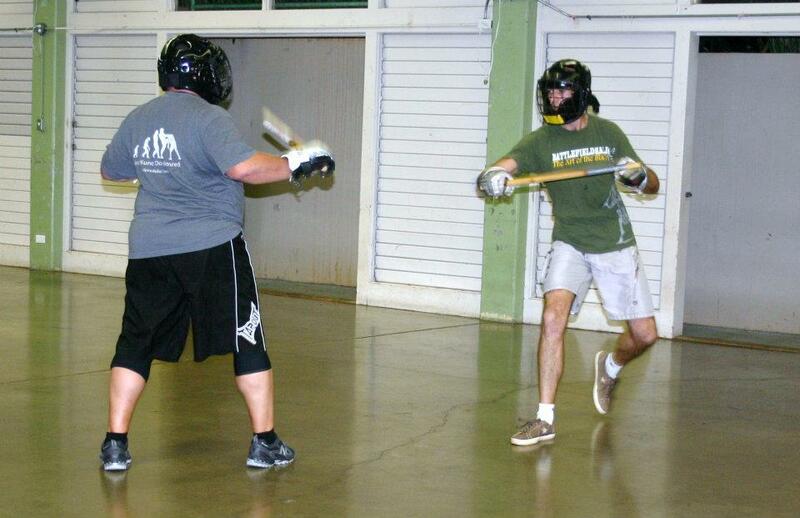 Padded sticks, lacrosse gloves, and helmets mean we can spar hard without getting hurt. However, they can also make us sloppy. If a weapon doesn't inflict pain, we tend to not respect it. Thus, you see things such as people not worrying about possibly being hit on the head with a stick or being stabbed with a knife. This is not good. When training with a weapon, you must treat that weapon as real. That means not "trading" shots. In a real knife fight, would you be willing to take being stabbed in the stomach so you could slash someone in the throat? That isn't really smart strategy. 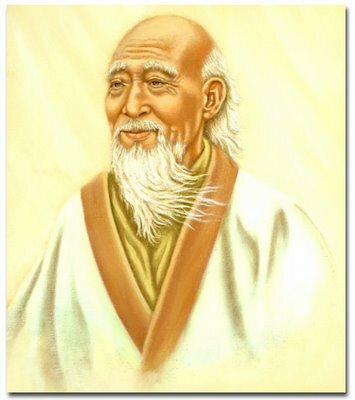 If a tactic has no place on the street, in has no place in sparring. How to rectify the problem of not respecting the weapon? For one, there is the power of imagination. Just pretend the weapon is real and act accordingly. 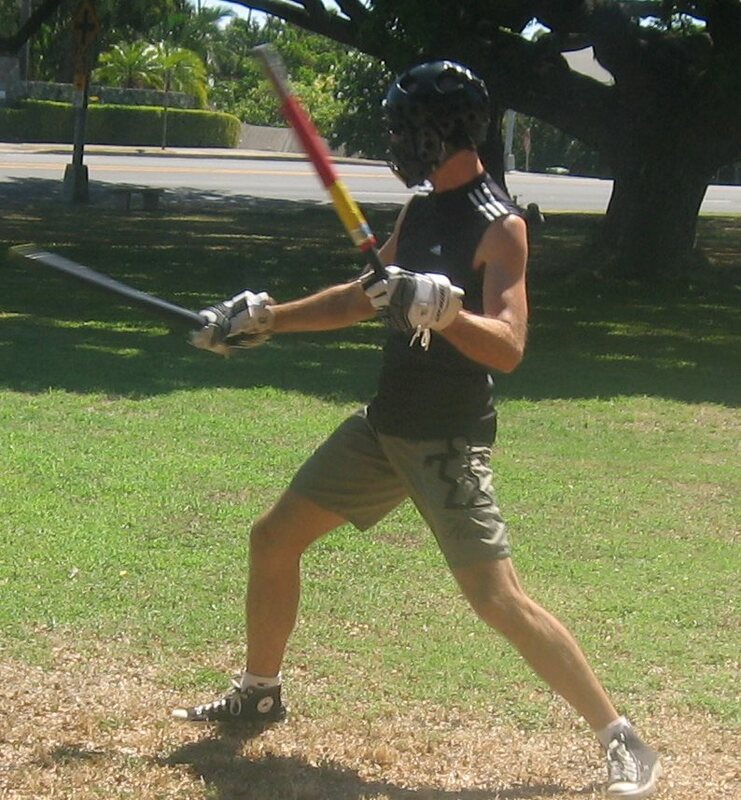 For stick sparring, more advanced students can spar with light rattan sticks. 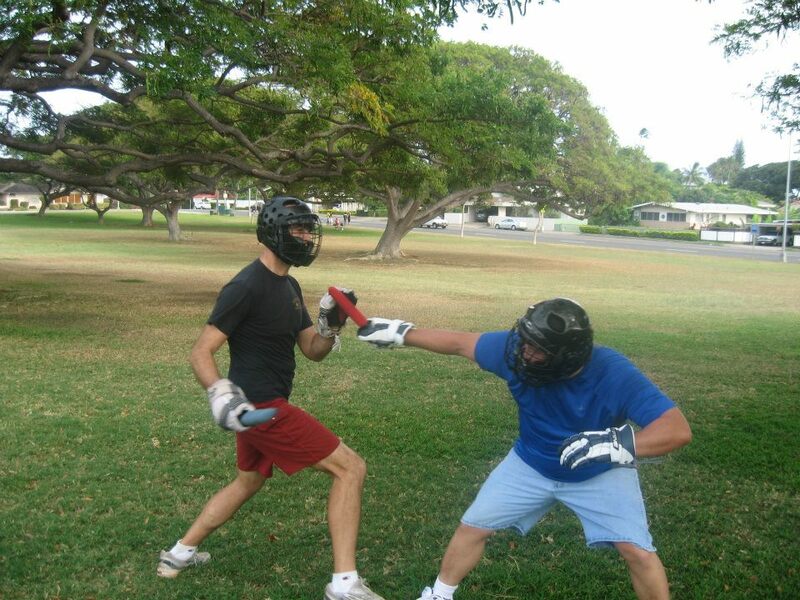 Just make sure to start light, wear good quality protective gear, and treat your opponent right. From a grazing shot from a rattan stick. Knife sparring is a bit trickier. Imagination is probably your best bet. 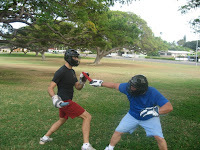 It's very hard to recreate an edged weapon in a safe sparring environment. Another option is,unfortunately, cost prohibitive for many people. That option is the shock knife. It is just what it sounds like: a sparring knife that gives a mild yet memorable electric shock. I don't own one, by my instructor Burton Richardson does. I've sparred with them on occasion. It's quite an experience. Here's a short video of me, Burton, and my fellow JKDU/Battlefield Kali instructor Manny Valladares demonstrating some shock knife sparring. Among other things, I am a professional journalist. In summer of 2012, I was working at Hawaii Marine, the official newspaper of Marine Corps Base Hawaii. One afternoon, I was chatting with one of the editors and my martial arts training came up in the conversation. We talked a bit more, and I eventually ended up writing an article for the paper about how Filipino martial arts can be useful to modern service members, especially Marines. The article was entitled "Kali for the Corps," and alas, it is no longer available online. The original version is posted below. Say the words “martial arts” and most people will think of Bruce Lee, The Karate Kid, the most recent UFC bout, or the latest joke about Chuck Norris. 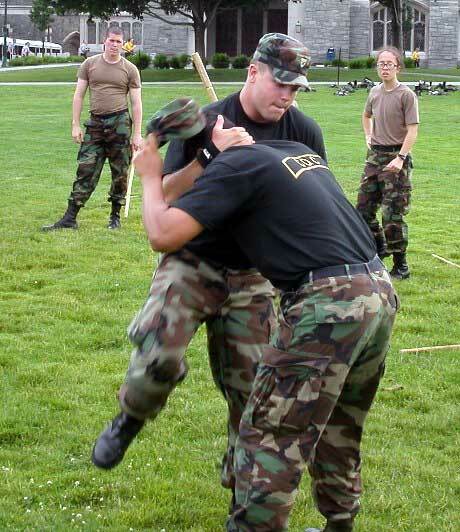 They don’t tend to think of guys swinging sticks at each other or trying to slash an opponent with a training knife. 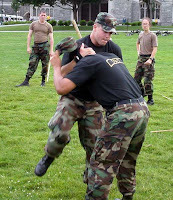 Yet the Filipino weapon art of Kali (sometimes called Arnis or Escrima) is a valuable system for a Marine or anyone else serious about learning practical combat skills. If you have any doubts about this, check out the 1999 USMC Close Combat Manual. The stick and knife techniques shown in Chapter 3, “Hand-Held Weapons,” are virtually identical to what you might learn in a Kali class. 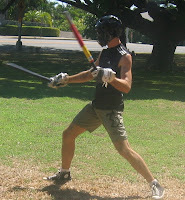 While there are a variety of styles of Kali practiced in the Philippines, in general, the main focus is on fighting with sticks and blades. Unlike many Asian martial arts in which you learn empty hand techniques first and then move on to weapons, in Kali you start training with weapons right from the start. The reason for this simple: Kali originated as a war art. 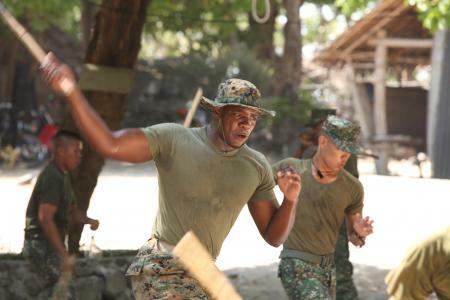 Battles between different villages and clans were common throughout Filipino history, and knowing how to win at armed hand-to-hand combat was simply a vital skill someone had to have to survive. Kali has much to offer modern martial artists. 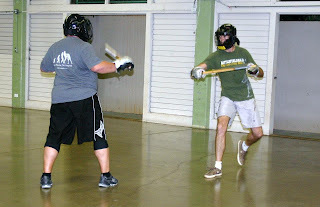 While the chances of being involved in a straight-up stick fight or knife duel are slim, the skills developed in stick and knife sparring translate to unarmed fighting as well. Consider, for example, footwork. Kali footwork uses a series of angles and indirect attacks that are easily applicable to boxing and kickboxing. Some have even argued that Muhammad Ali used some Kali footwork he picked up from Filipino boxer “Flash" Ellorde. Speed is also a factor. You can swing a stick far faster than you can throw a punch. Because a stick is so quick, you have to improve your reaction time to avoid getting hit. If you do a few rounds of stick sparring and then do a few rounds of boxing immediately afterwards, chances are you’ll find that you are quicker and more alert. Then there is the simple fact that, even a world of fighter jets, M16s, and other highly efficient modern weaponry, there is still a place for such seemingly primitive weapons such as sticks and knives. It is also not uncommon to find sticks and knives in the hands of street criminals. Granted, the sticks will probably not be the rattan “bastons” Kali practitioners use. The stick may take the form of a baseball bat, pool cue, or even an antenna ripped off a car in a parking lot. (It does happen!) As for blades, thugs carry everything from wannabe Rambo knives to straight razors to box cutters to switchblades. 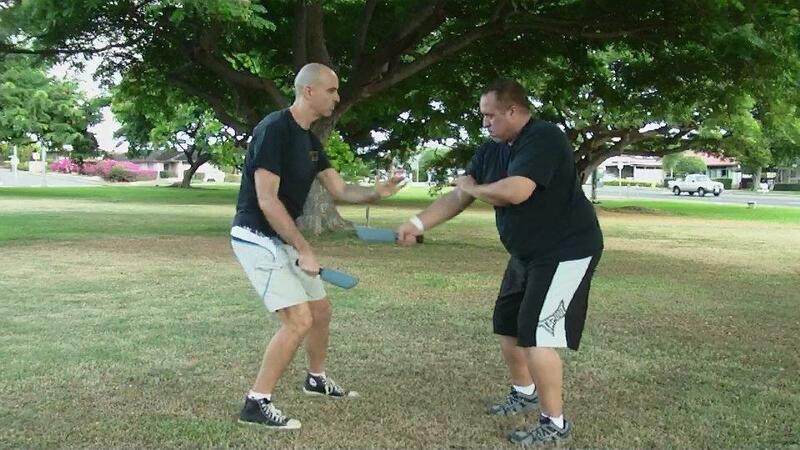 In Kali, you will learn how to fight stick vs. stick, blade vs. blade, stick vs. blade, and how to deal with an armed opponent when you don’t have a weapon yourself. Thanks to Hollywood, Kali has enjoyed a bit of a revival in the U.S. recently. Films such as Hannah, The Hunted, and Mission: Impossible 3 have featured the art. Perhaps most famously, Kali is the main fighting style of Matt Damon’s Jason Bourne of the Bourne Trilogy. On March 21, 1685, Johann Sebastian Bach was born. If I could only listen to the music of one artist for the rest of my life, it would be the music of Bach. 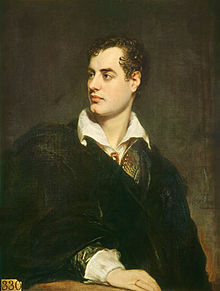 Thanks, J.S., for bringing such sublime beauty into this sometimes ugly world! Happy birthday to Miki Berenyi! This is by far my favorite song by Lush. In the somewhat underrated Clint Eastwood thriller Tightrope, there is a scene in which Genevieve Bujold, playing a women's self defense instructor, delivers a groin kick to a dummy. Two balls—tennis balls—drop from the dummy, with one bouncing over to Eastwood. It's a funny scene in a pretty dark movie. 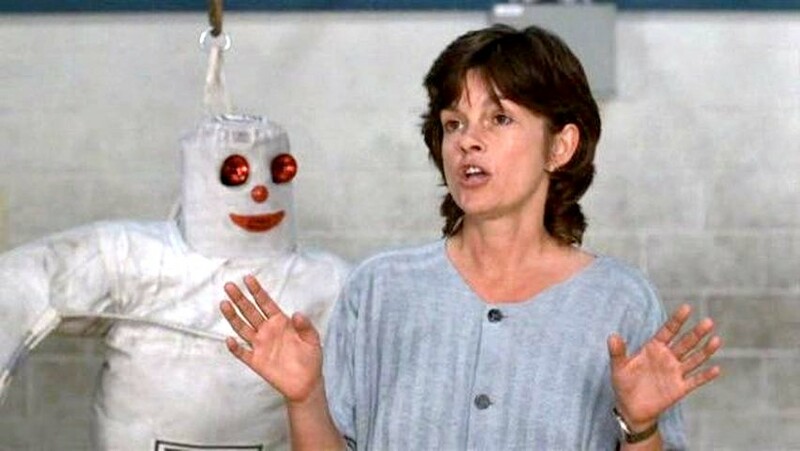 It is also a fairly accurate portrayal of most self defense classes, especially ones geared towards women. These classes tend to place a great deal of emphasis on the devastating power of the groin shot. Are groin shots effective? In general, absolutely. 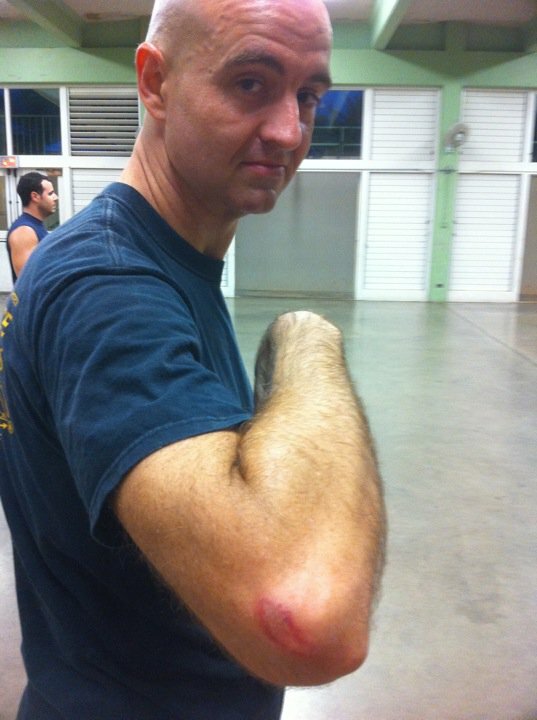 In Burton Richardson's JKD Unlimited/ For Street Self Defense, we practice groin shots all the time. However, as Burton himself said in a recent instructional video, they are not foolproof. I always stress to students that groin shots hurt, but they are not death rays. I have an overwhelming love of Baroque music. One of my favorite composers is Georg Philipp Telemann. 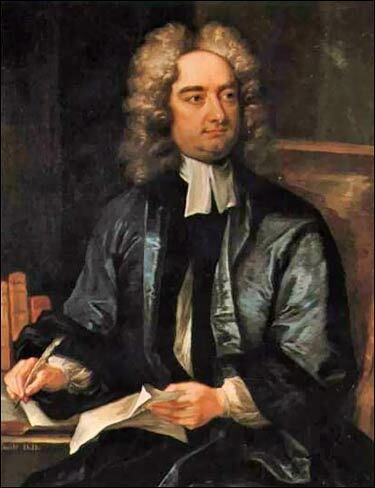 He was born on this day in 1681. Here’s a particularly lovely piece featuring the great Trevor Pinnock and the English Concert. 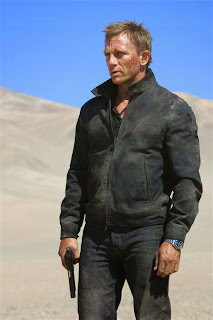 One of the many great things about the Daniel Craig-era James Bond films is the return of 007 as a style icon. Consider, for example, the resurgence of interest in the classic Harrington-style jacket in the wake of Craig's use of one in Quantum of Solace. Of course, the Harrington jacket has been around for decades. The original G9 Harrington was and is made by the U.K. firm Baracuta. The G9 was a favorite of the ultracool Steve McQueen. The G9 doesn't come cheap. It's retails for a bit over $250. That's a bargain compared to the jacket used by Craig. Designed by Tom Ford, it runs at least four times as much, a nice sum for a casual cotton jacket. 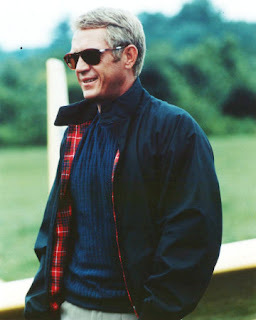 Neither have anything near the panache of the famous Baracuta, but they are a touch more attainable! I own three different Harringtons. All of them are black. One is all cotton, one is nylon (not traditional, but perfect for rainy days) and one is a cotton/nylon blend. Two were purchased from thrift stores, one from a Banana Republic outlet. My favorite is one of the thrift store finds: A Sears & Roebuck (really!) 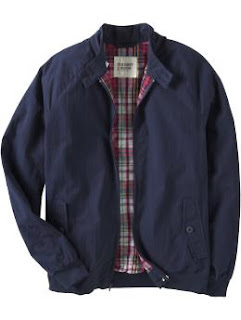 jacket that is very similar to a classic Baracuta and fits like a dream. In the future I might post some photos of my collection. All in all, a great list. Personally, I think the Long Cycle Clean & Jerk may be the ultimate kettlebell move, but that's a minor point. Chris's post is well-worth checking out.